A beautifully presented extended double bay fronted semi detached four bedroom property situated within the sought after area of Abington. Viewing is recommended. A beautifully presented extended double bay fronted semi detached four bedroom property situated within the sought after area of Abington. 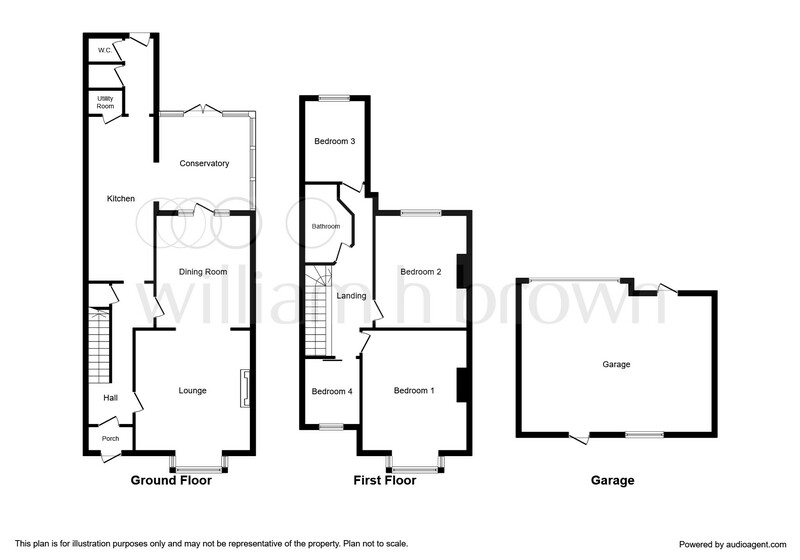 The property comprises entrance porch, entrance hall, lounge, dining room, fitted kitchen, conservatory, cloakroom, first floor landing to four bedrooms and family bathroom. Outside there are gardens to the front and rear and a double garage. Entered via part obscure and leaded double glazed door to the front aspect, double glazed windows to the front and side aspects and tiled floor. Original part glazed door with leaded and stained glass windows, cupboard housing utility meters, coving to ceiling, radiator, telephone point, solid oak flooring, stairs rising to the first floor landing with under stairs storage and doors to lounge, dining room and kitchen. Double glazed part leaded bay window to the front aspect, feature fire surround with mantle over and hearth housing living flame gas fire, coving to ceiling and ceiling rose, dado rail, two radiators, solid oak flooring and opening to dining room. Windows and glazed door into conservatory, solid oak flooring, radiator, ceiling rose and coving to ceiling. A refitted kitchen comprising a range of base and wall mounted storage units with work surfaces over, one and a half bowl ceramic sink unit and drainer with mixer tap over, complimentary tiling to splashback areas, range cooker with six ring gas hob and double electric oven with cooker hood over, plumbing for built-in dishwasher, space for white goods, cupboard housing wall mounted combination boiler, space for tumble dryer, radiator, tiled floor, leading to rear passage and opening to conservatory. Tiled floor, radiator, double glazed windows to the side and glass ceiling with ceiling window, double glazed door to the rear garden, doors to storage cupboard and cloakroom. Obscure double glazed window to the rear aspect and low flush WC. 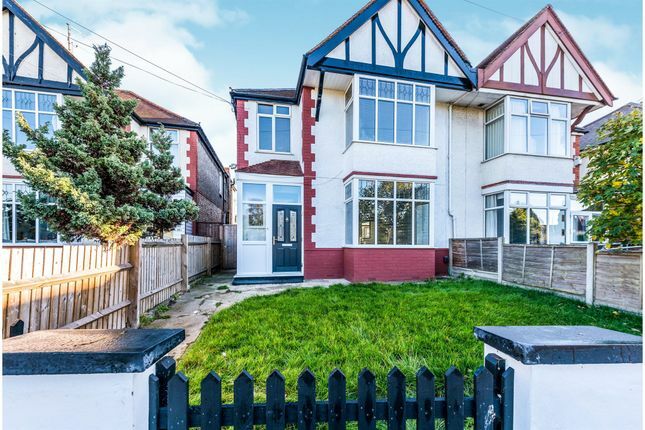 Of a part brick and double glazed construction with featured glass ceiling, double glazed windows to the rear aspect and double glazed French doors leading out to the garden, tiled floor and two radiators. Double glazed window to the side aspect, access to loft space, coving to ceiling, solid oak flooring, radiator and doors to bedrooms and bathroom. Double glazed part leaded windows to the front aspect, coving to ceiling, solid oak flooring, radiator and television and telephone points. Double glazed window to the rear aspect, coving to ceiling, radiator and wooden flooring. Obscure double glazed window to the side aspect, a refitted suite comprising bath with mixer tap and waterfall shower over, pedestal wash hand basin and low flush WC, shelved recess, heated towel rail and complimentary tiling. 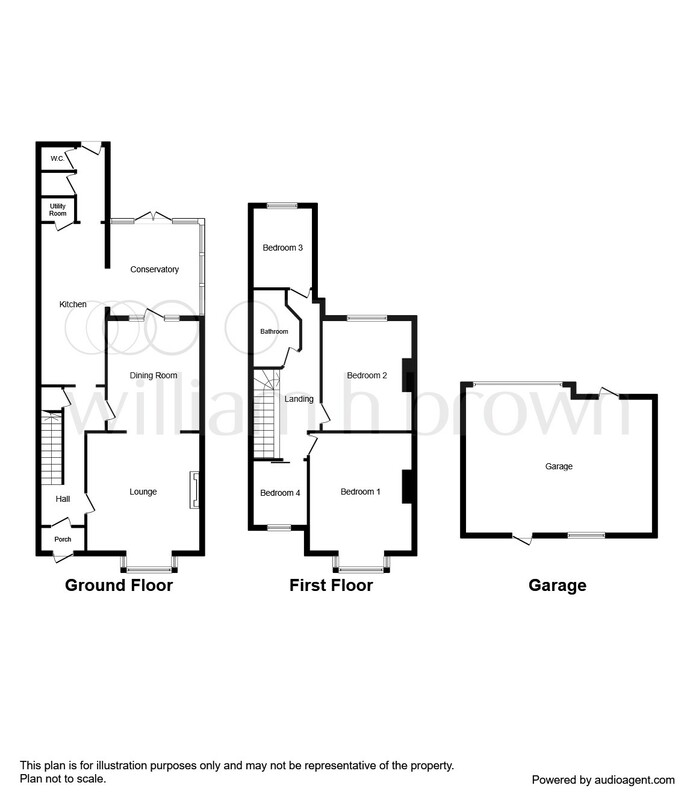 Enclosed with fencing with gated access to the rear of the property, lawned garden and pathway leading to side access. Electric roller doors and courtesy door to the rear aspect, power and light. And window. Fully enclosed with fencing, gated side access, paved patio area, mainly laid to lawn, paved pathway leading to the double garage and outside tap. Property descriptions and related information displayed on this page, with the exclusion of Running Costs data, are marketing materials provided by William H Brown - Northampton North, and do not constitute property particulars. Please contact William H Brown - Northampton North for full details and further information. The Running Costs data displayed on this page are provided by PrimeLocation to give an indication of potential running costs based on various data sources. PrimeLocation does not warrant or accept any responsibility for the accuracy or completeness of the property descriptions, related information or Running Costs data provided here.